One major objective of flap surgery is to eliminate or reduce the pocket itself. 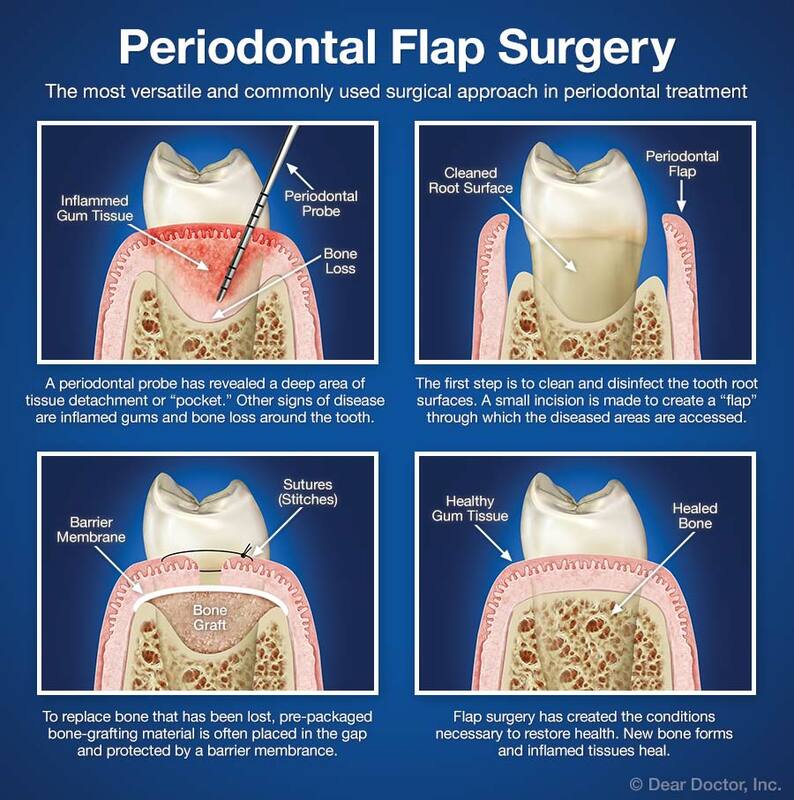 To access it, a flap-like incision is made in the gum tissue. 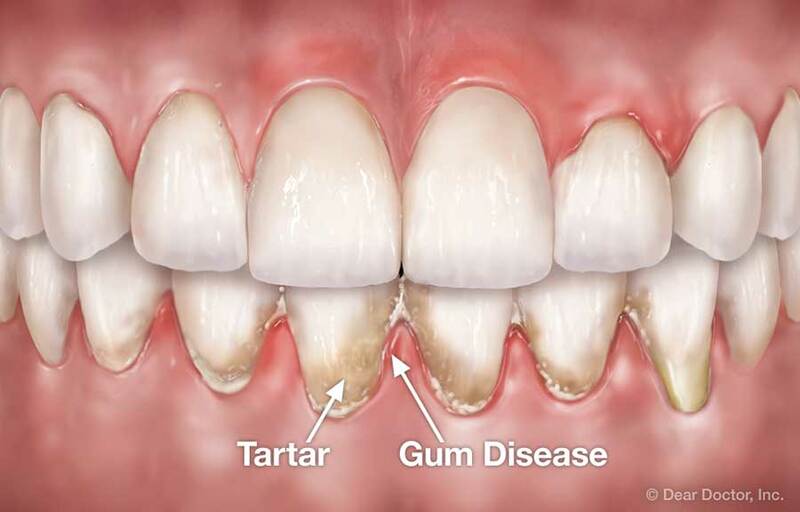 This allows us to remove diseased tissue from inside the pocket, and lets us access the teeth's root surfaces for a thorough cleaning, helping to eliminate harmful plaque and calculus (tartar). Afterward, the “flap” is closed, sealing the area. This begins the healing process, which takes place rapidly. Performed by an experienced hand, state-of-the-art flap surgery has an excellent track record and offers well-established benefits. It's often the treatment of choice for relieving periodontal disease and helping to maintain your oral health — and preserve your teeth. To learn more, please contact our office for an examination and consultation.